Most Christians of the Levant have long been indoctrinated into believing they are descendants of ancient Arab tribes that were part of a mass migration to the region, and eventually converted to Christianity rather than Islam. It’s a belief, which is the cornerstone of Arabist Christian thinking. However, to the displeasure of Arabist authorities, more and more throughout the region are beginning to see this outdated badge of pride as a misguided myth. A failed coping mechanism, in order to prevent discrimination at the hands of the Islamic majority. It’s this shift amongst Levantine-Christians, both Rûm and Syriac, which is making many openly question their ties with Arabism. This new and open-minded look at Levantine indigenous-identity isn’t completely denying arab ancestry, at least partial, but rather raising the question, should a minor piece of one’s ancestry really be the cornerstone of their entire identity? 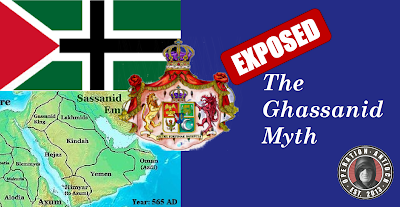 The Ghassanids were a Hellenized   Arab tribe, which according to oral tradition  descended from Jafna bin Amr and his family, which were part of the Azd tribe that emigrated sometime in the early 3rd century from the Arabian Peninsula to the Levant  . After settling in the southern Levant, and mingling with local-Greek speakers, the Ghassanids established their own client state to the Romaic (Byzantine) Empire. The lands of the Ghassanids became a “buffer zone” protecting the Romaic populated coastland regions from Bedouin raids. For Arabist-Christians, the Ghassanids are the foundation to their arab ethnicity. A fact, which leads them to downplay the Hellenization of the Ghassanids as merely superficial, and having no real effect of their genetic makeup. Maintaining the Arabist argument that Christians and Muslims in the region are genetically identical, regardless of their spiritual differences. However, new genetic studies are beginning to put holes in this traditional Arabist-rhetoric, and are revealing a genetic difference between Muslims and Christians. In Genetics, a person’s ancestry can be identified and traced through the Y-Chromosome, and Mitochodrial DNA. The former proving patrilineal lineage, and the latter matrilineal lineage. In the case of arab ancestry, the patrilineal line is connected to Haplogroup J1. However, J1 isn’t the dominant Haplogroup amongst Levantine-Christians, like it is for Muslims   . In fact, genetic studies have even shown that the matrilineal lineage of the region has a closer affinity to European populations . Therefore, the Arabist-line of pure arab descent for Levantine-Christians is bogus. Although studies do show genetic evidence of arab ancestry it is by far the smallest part of the overall genetic make-up of Levantine-Christians. Which furthers the questions of critics whom dare to ask why our communities ethnic identity is based on the smallest part of our genetic heritage. The answer to this burning question of “why” rests with its ideological effects, effect which are based on “servitude” in fear of the Occupiers, the Arabs. The decision to embrace an Arabocentric identity by Christians was merely an attempt to prevent discrimination by the Islamic majority. It was a conscious decision by our community’s leadership, which disavows our Romaic (Byzantine) roots and replaces them with Arab ones. 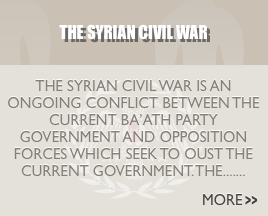 This is best seen in the words of well-known Arabist Rûm priest Georges Massouh. 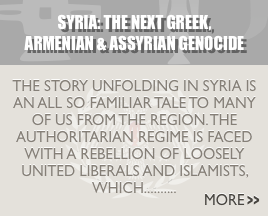 Whom in 2015 was quoted saying, “The Byzantine Greeks (Rûm) lost their power in this country, their Empire has fallen, thanks to God it fell…”. These modern-day Arabist sympathizers, whom proudly proclaim mythical “pure” Ghassanid ancestry, actually ideologically abandon the Ghassanids, whom stood with the Rûm against the Arab invaders of the 7th century. Instead they choose to ideologically ally with those Christians who made up a significant percentage of the Arab Muslim armies at the time, as seen at the Battle of Mu’tah. The Arabist-Christian, therefore, ideologically rejects not only his or her ethnic origins, but also their spiritual origins! 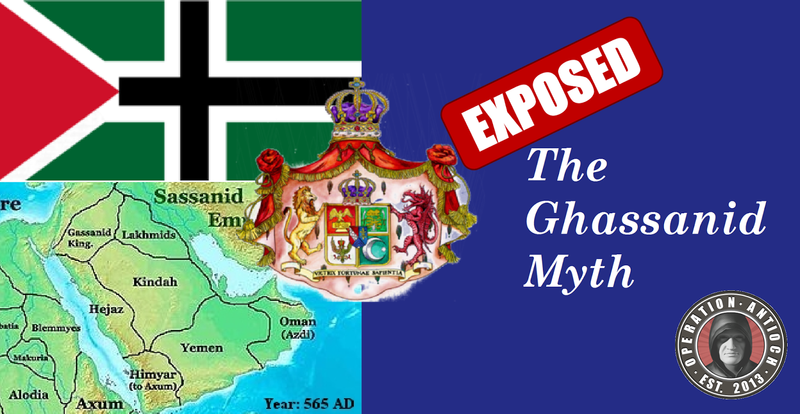 The Ghassanid myth has outlived its use. A shared ethnic ancestry, based on Arabism, has failed to prevent religious discrimination at the hands of an Islamic majority. Therefore, the fear of discussing non-arab origins should no longer have the same taboo as it once did. So we Rûm must ask ourselves. Should our identity been centered on what constitutes the majority of our ethnic, spiritual, and cultural heritage or should it remained centered on our minor Arab roots?